of the food world – wholesome, although often seen as boring. cabbage, while savoy cabbage has looser, wrinkly leaves. cabbage as your new favorite side dish. longer than rats that were not given the treatment. and Food Research Institute, Zeist, The Netherlands. histone deacetylase (HDAC), which helps cancer cells progress. breast cancer tumors in a recent University of Missouri study. 3. Can Cabbage Help Protect Against Hair Loss? cabbage diet with plenty of exercise. leaving patches or completely hair-free areas of the body. sulfur and silicon, two minerals that help hair growth. 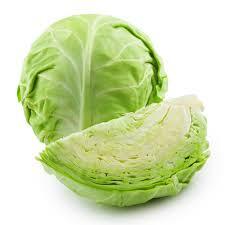 Cabbage also contains vitamin A, which stimulates hair growth. For better heart health, add cabbage to your menu. lower the inflammation that leads to heart disease. 6. Eating Cabbage Helps Prevent Diabetes? significantly lower the risk of Type 2 diabetes. of antioxidants and nutrients to prevent disease. 7. Does the Sulphur in Cabbage Help Your Skin? irritations and prevent pimple outbreaks. helps fight against skin infection and prevents acne breakouts. specifically useful for helping boost skin health. however. Cabbage, like all vegetables, are grown in the ground. vegetables grown in rural areas of the United States.